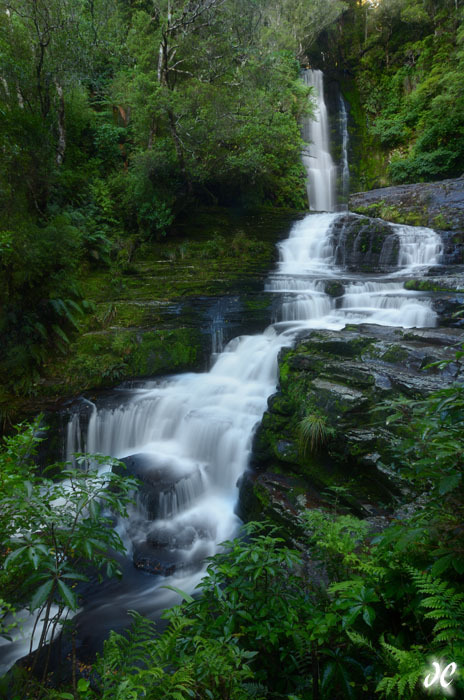 The Catlins in New Zealand are famous for three things: wildlife, a storm-dashed coast, and waterfalls. And if you explore the area around the tiny hamlet of Curio Bay, you’re bound to see all three. At the very end of a photo trip to New Zealand, I hit the Catlins for a bit of R&R -after all, I had just spent the previous three weeks driving like a maniac all over the South Island, shooting, hiking, and exploring. Now it was time to relax before heading back to the States. Or so I thought. The lure of seeing a beautiful waterfall was too great a temptation for me so on the afternoon before I flew home, I hiked out to McLean Falls to snap this shot.